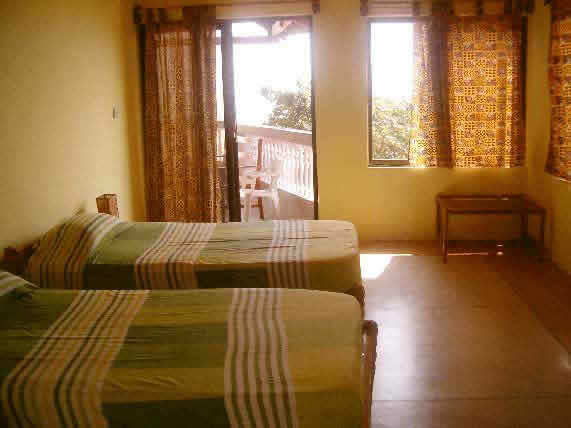 Large bedroom on terrace with twin beds, air conditionned, bathroom, hot water. 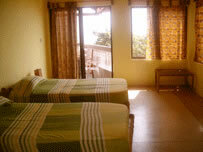 Bedroom on terrace with twin beds, fan, bathroom. 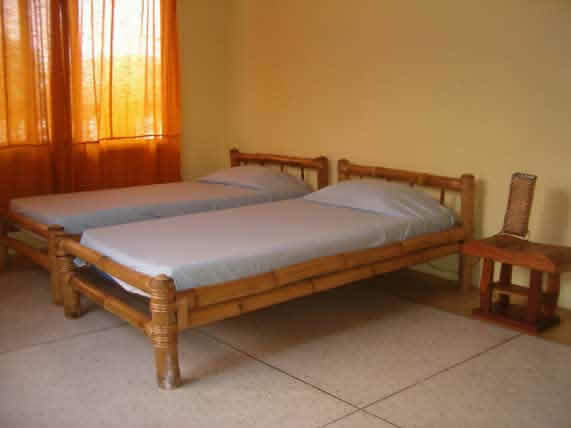 Twin beds, with fan, bathroom. 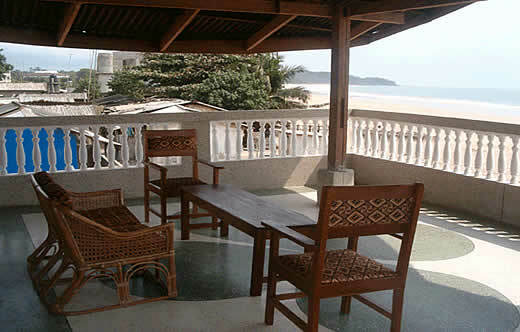 You can enjoy the beautiful view on the beach of Busua on our pleasant and shady first floor terrace. Prior to one month before arrival: Refunding 100% of the deposit. Between one month and 2 weeks: Refunding 50% of the deposit. Between 2 weeks and 1 week: Refunding 25% of the deposit. Less than 1 week: No refunding. Reservation is subject to cancellation fee from confirmation call or email.